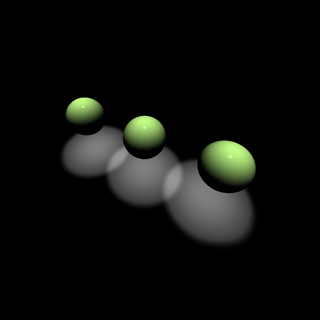 This image generator composition shows seven 3D objects made of points with several changeable parameters, including the 3D camera position. 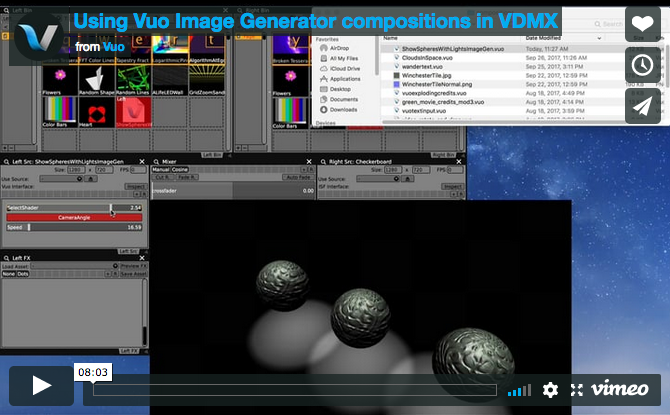 This composition in used in a tutorial on how to use image generator compositions in VDMX. 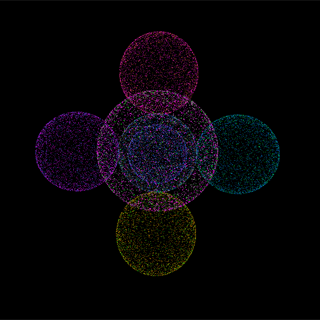 This image generator composition is a modified Vuo example composition that shows three rotating spheres with lights. 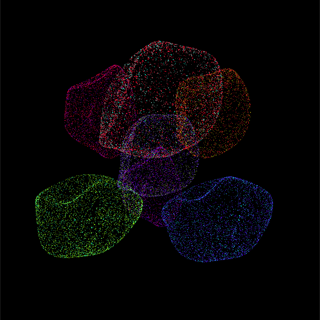 You can change the shaders that control how the spheres look, the rotation speed, and camera view. This composition is used in a tutorial on how to use image generator compositions in VDMX.